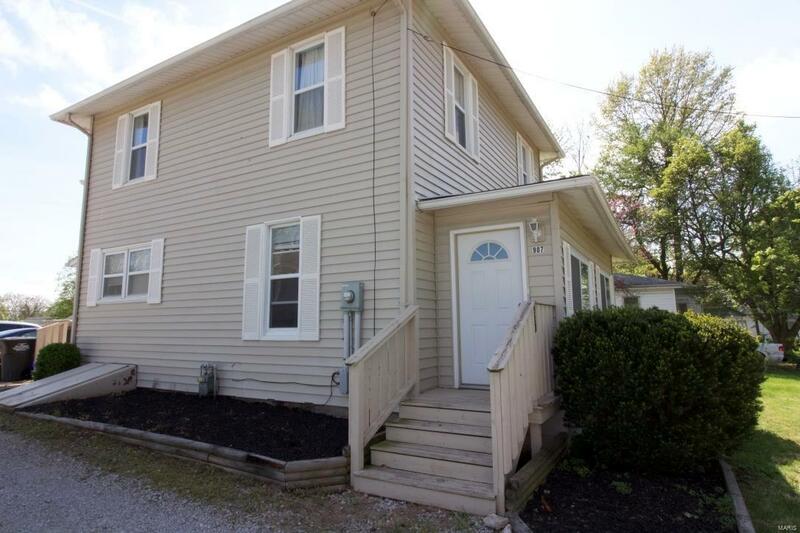 All the work has been done on this updated 3-bedroom 2-full-bath home in Godfrey. This home boasts 2 laundry areas, one in the basement & another on the second level. The main floor has a mudroom off the driveway that has two large pantries, a full bath, eat-in kitchen with breakfast bar, a dining area (now being used as a child's play area) & a living room. The sunroom on the front would be perfect for plant lovers or for a library or study. The attic fan on the upper level keeps the house cool on those days when you just don't want to engage the air conditioner. Full bathroom on the upper floor also houses the washer/dryer. The lot is mostly level & stretches all the way back to Chouteau Ave. Deck off the back is great for grilling, & the utility shed will convey. Call your favorite realtor to schedule a private showing! Before making an offer on any property, buyer should independently verify all MLS data, which is derived from various sources & not warranted as accurate.